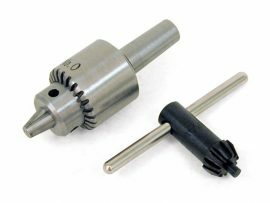 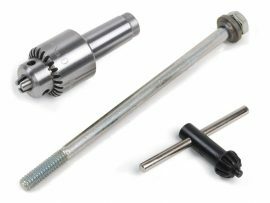 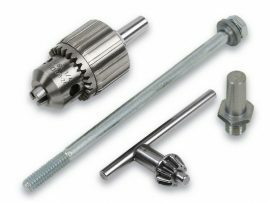 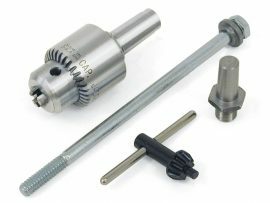 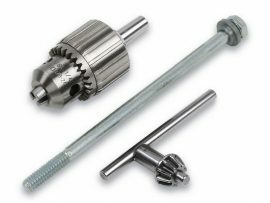 Drill Chucks are available in three sizes and with arbors to fit the headstock and/or tailstock. 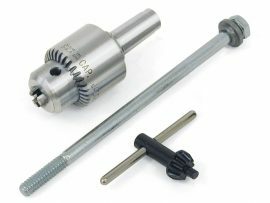 3/8" Drill Chuck plus chuck key, drawbolt and #1 Morse arbor. 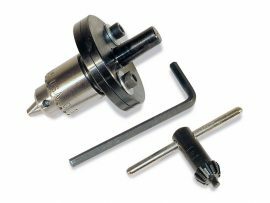 1016 5/32" 0JT Chuck with #0 Morse adjustable back plus chuck key and hex key.